Update: The Switch listing for Assassin's Creed III Remastered has now been removed from the Ubisoft website. Yet another mistake? Or just revealed too soon? Original story below. Original Article: Joining Spyro Reignited Trilogy on the list of worst-kept secrets on Switch, the recently revealed Assassin's Creed III remaster once again looks well and truly set to arrive on Nintendo's machine. This time, the 'leak' comes from Ubisoft itself. 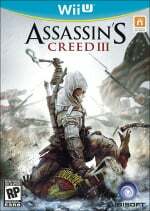 Just like Spyro, Assassin's Creed III Remastered has been heavily rumoured for Switch for some time but has never officially been announced. The first rumours came from a German retail listing which suggested an 'Assassin's Creed Compilation' was set to arrive on Switch and other consoles and, not long after, multiple retailers listed the remastered game under its proper title as coming to Switch, too. Despite all of this, a press release sent from Ubisoft just last week finally spilt the beans on the game's official release date, clearly stating that it would arrive on PS4, Xbox One and PC. No Switch version was mentioned at all, and while we thought it could be down to Nintendo holding the announcement back for an upcoming Direct, it seemed like a Switch version was potentially out of the question, at least for the time being. Now, though, as originally spotted by Twitter user @AwesomePlatter, the game is available to view on the Ubisoft Club website. You have to be logged in to view the game, but listed clearly alongside those previously mentioned platforms is 'Switch'. We've grabbed a screenshot for you below. If Ubisoft's own website has the game listed under Switch, and multiple retailers have a very convincing boxart image of the game along with fixed release dates, it's got to be coming to the console, right? We still haven't received official confirmation that the game is indeed coming to Switch, but it seems incredibly likely now. Do you think it's only a matter of time before it gets properly revealed? Do you think it is being held back for a Nintendo Direct? Tell us below. Between this and the Spyro Trilogy article from earlier, it seems that "Here we go again" has become the new tagline of choice. It also works well to express life as a Nintendo fan. All these leaks can only mean that a Direct is imminent. In regards to these AC games, it's a shame that the ones considered by many to be the worst in the series will arrive first on the Switch. I hope they will sell well enough so that Ubi can bring the goods ones as well. PS: logged in myself and, yeah, it's there the info that it will be released on the Switch as well. Ooooo, definitely looks a Direct is coming then. Otherwise it would have been announced by Ubisoft. Man, I would love Black Flag on Switch. I hope that's being worked on too. Really would like to see Black Flag on Switch. Wii U can handle it, so Switch could too. Direct seems to be immenint based on all these leaks. AC Origins has been the only one in the series I've enjoyed, mainly due of the location. Hope they bring over the rest that are possible from a tech standpoint. Bring all the AAA games you can. If they are holding this back for a direct then Nintendo really need to coordinate these things a lot better with 3rd parties. The whole affair is embarrassing frankly. Buzz me back in when Origins Switch is announced. Or Rogue I guess, don't think I've got that one yet. I’d rather have the Ezio collection. UbiSoft are liars sometimes so I wouldn't trust this until I see a trailer confirming it. Like I said in the Liar Princess and Blind Prince post, I hate liars so I'm taking this with some salt for now. A direct must of been scheduled earlier but the Metroid news made them pull it and recut it. Right on. I figured it was coming. I wouldn't waste my time buying elsewhere, since I already own on Wii U. But a Switch version is enough to entice my wallet to come out and play. I would buy it if the whole game is on the cart. I would say this doesn't mean anything if it weren't the rumors and shop listings, but Ubisoft's website is full of errors in what regards Nintendo platforms: Trials Rising, for example, is sometimes listed for Switch and sometimes not. Because normally they tend to not put Nintendo Switch in their listings, I guess this can indicate something. I mean why release 1 and 2 first anyway? Let's just go straight to 3. Just checked and it seems they changed the page. Now it only mentions PS4, XOne and PC. Your last report on this was that it wasnt coming to Switch because it wasnt announced as part of the release date for the other versions but you never questioned that maybe it might still be coming just at a different date. I feel that this is more so an issue because you jump on rumors without any sort of verification, do you reach out to the devs/pubs? They might give you a boilerplate "we have nothing to annouce at this time" which at the very least you did your due diligence, but you never know and might get a scoop by getting a confirmation. Kewl. I wonder if we can get the first two games rereleased on it as well. Can't quite remember if I finished the second one but also might be nice to revisit the first. Good for those who enjoy the AC series and haven't already played it. Meh, have never been in to these games, but happy for other people. I still don’t see the need for a remaster of what was a mediocre game. Perhaps they can get rid of the glitches that appeared constantly, but you’re still stuck with poor gameplay, story and characters. Nice game world / setting, though. So the Switch gets the worst game in the series first? Ehh, I’d rather have Black Flag. That's the opposite of a proper anouncement ! I suppose if there's any part of the Nintendo fan base that loves Assassin's Creed, they better buy a copy of this remaster to show Ubisoft there's a demand for these games. How about just wait and see instead of saying it's coming out, no it isn't oh wait it is etc. Still puzzled that a n official "trilogy" of some sort isn't on the map. While the first game was "ok" (but still interesting), the second one was very good IMO. A bundle offering the first tree games would make sense and I would buy that for the Switch. But then again, why release such a bundle when you can probably charge almost as much as a brand new release on the Switch (maybe a slight less), for that single game, right? @diablo2 games don't sell well on the switch? Since when? @Powerjunky You missed an important phrase in my comment: "Certain titles" --- as opposed to every title in general. IT's going to be a Day one pick up for me unless its going to bee one of those expensive games even know its and old game. 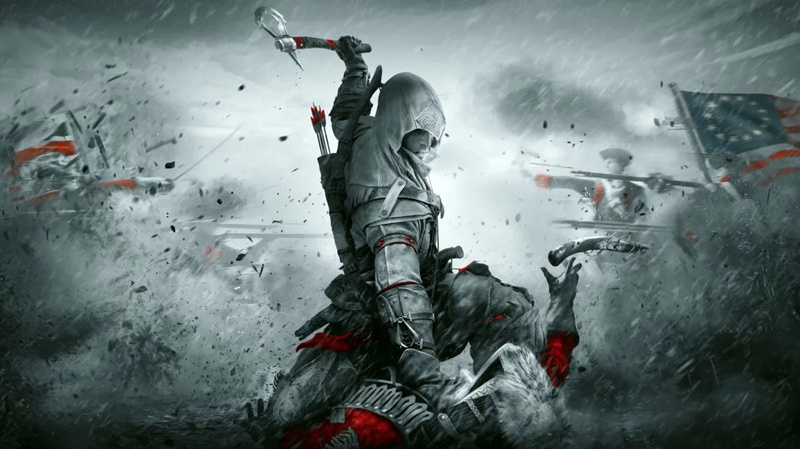 I would've like the Ezio Trilogy. The PS3 version though, not the shoddy ports or remasters. It think it’s this one just because they’re remastering for PS4 and XB1. Like happened with Dark Souls, LA Noire, Okami etc. I hate being impatient but I really hope a Direct is coming up soon cause I really want to have more info on the 2019 line up weather it be proper release dates for already announced games or just announcements for new games altogether. I'll definately get but I'll hold for a discount since this is Ubisoft. While I wait, I'll play Joshi that for sure I'll pay full price!!! Spill the beans Ubi. Let’s have it! The longer they wait for this next Direct, the higher the expectations to deliver will rise, realistic or not. What going on Nintendo?? I need to know something is coming in 2019. Isn’t this considered one of the most boring in the series by fans? You're not being impatient — I think we've all been pretty patient. We're half way through February and we barely know anymore than we did in September. I would just be nice to know what the calendar looks like, for at least the first half of the year. Plus, things are getting mighty leaky the further we go along. That tells me they've tried to keep the lid on a bit too long. Saving for a Direct reveal maybe? Exclusive Mario Hat attire for the Switch edition? @John_Koshiro I dig your profile pic. @GunMettleJackal I don't see an issue. It's never presented as being 100 percent fact and contacting developers about leaks or things posted to a third party site and then deleted isn't going to get any response but what you expect anyway. People should do their own due diligence and use their brains to digest information. Nobody claimed to have insider info. They just use the same we all have access to. This was definitely intended to be held back for a Direct. I believe this. Let's get that direct to make it official! Until it's shown in a direct I'll take this with a grain of salt. Either announce it already, or don't leak it... Geez. I'd love not only AC3 but the Ezio trilogy too, the Switch is pretty capable of running all of them. So if they can Physically release AC3 that would stand to reason AC Odyssey can also be released Physically on Switch as well. So the lame excuse used before was just that lame excuse. If I had any desire to play mediocre AC3 - I would just get the $24 Assassin Creed Odyssey season pass. I think AC3 was $9 during my WiiU days. And didn't care either. why tho? its easily one of the worst ones! it is THE ONE where it all got [removed]. Oh for crying out loud, why do publishers have to treat Switch releases like they're so special? "XYZ game will come out on PS4 and Xbox One. BUT WILL IT COME FOR THE SWITCH?? Stay tuned for the next six months and we may just tell you!" If Nintendo makes them do it, that just shows how few high profile games are on the machine. Otherwise, why would it be anything special if a 5+ years old game gets released on the Switch while this, and even the next game in the series had already been published on the Wii U? I would really like to see some newer AAA games, so at least Unity or Syndicate, if not Origins.